Syrian hackers behind recent attacks on the New York Times and Twitter have warned media companies to "expect us". 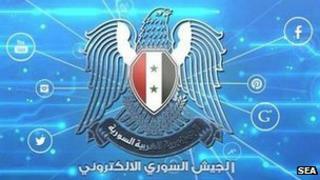 The Syrian Electronic Army, which supports President Bashar al-Assad, added it had "many surprises" to come. Interviewed via email following the UK Parliament's vote against military intervention on Thursday, a spokesman told BBC News: "It's the right thing." He added: "Military intervention in Syria has many consequences and will affect the whole world. "Our main mission is to spread truth about Syria and what is really happening." The SEA has targeted various media companies, including the BBC, CNN and the Guardian. Brian Krebs, a former Washington Post reporter, wrote that clues discovered when the SEA's own website was hacked earlier in the year pointed towards at least one member of the group being based in neighbouring country Turkey. But the SEA's spokesman dismissed these claims, saying that "they keep publishing names so they can get attention". "All the media outlets that we targeted were publishing false/fabricated news about the situation in Syria," he told the BBC. "Our work doesn't need funds. It just needs a computer and internet connection." Until this week's attacks, the SEA's efforts had largely focused on "phishing" social media accounts, tricking users into handing over log-in details. In one particularly effective attack, the Twitter account of the Associated Press was compromised, and the group posted a tweet saying US President Barack Obama had been hurt in an explosion. The New York Times attack was more damaging, however, as the hackers were able to redirect people trying to visit the newspaper to the SEA's website instead, albeit briefly. "Our goal was to deliver our anti-war message on NY Times website - but our server couldn't last for three minutes," the group said. "The Twitter attack was because of the suspension of our accounts on Twitter by its management. "We succeeded in our attack as we expected."